Home General FREE Summer Reading Programs! As part of our annual sumer tradition, we always hit the local libraries and join their summer reading clubs. Not only do these programs encourage lots of reading, kids earn great rewards like FREE tickets for summer activities, books, coupons for restaurants and more. 1. Read any eight books this summer and record them in your Summer Reading Journal. Download the B&N Summer Reading Journal in Englishor Español to learn more .Tell us which part of the book is your favorite, and why. Lifeway is offering a FREE Bible and a FREE book when your kiddos read six books and memorize six scripture verses over the summer. After they complete the summer reading journal HERE, simply turn it in to a local Lifeway store and they receive their freebies! Books-a-Million: FREE Pencil Case and pencils when kids read four books from the section HERE, and turn in journal to your local store. Sylvan offers Book Adventure a FREE reading incentive program. Basically, your child reads books and then takes a simple comprehension quiz to make sure they understood what they read. The quiz is usually about 10 questions long. They earn points based on how much they remember from reading the book. There are hundreds of books to choose from in all reading levels. These are common books that can be found at your local library. Once they have earned enough points they can trade them in for some really neat prizes! FYI…they’re ending this program on June 30, 2018. Kids can earn 10 FREE Chuck E. Cheese tokens every time they for 2 weeks in a row. Just fill out the form HERE and bring it in to claim your free token. Half Price Books is offering kids ages 14 and under a chance to earn a $5 Gift Card for reading just 15 each day throughout the summer! Rosenberry Rooms offers children a chance to win a $25 gift card! The Bookworm Challenge can be found here. SYNC is a program that gives away two FREE audiobook downloads every week each Summer for readers ages 13+. Each week features a current Young Adult title paired with a Classic or Required Summer Reading title). Titles are delivered through the OverDrive app which can be downloaded for free. For more information, head here. 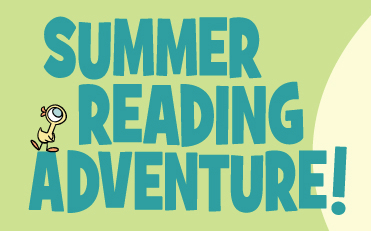 TD Bank Summer Reading ProgramRead and keep track of 10 books this summer and your child will get $10 added to their Young Saver Account FREE! ABCya.com is the leader in free educational kids computer games and activities for elementary students to learn on the web. All children’s educational computer activities were created or approved by certified school teachers. All educational games are free and are modeled from primary grade lessons and enhanced to provide an interactive way for children to learn. Grade level lessons incorporate areas such as math and language arts while introducing basic computer skills. Many of the kindergarten and first grade activities are equipped with sound to enhance understanding. Fun children’s Holiday activities are available in grade level sections! Free unless you decide to upgrade. My oldest plays for free and my youngest has upgraded. Coolmath has an enormous resource of math lessons from arithmetic up through a preview of Calculus. They also have a Pre-School area. At Disney Jr you’ll find games, coloring pages and videos. The games focus on memory, hand-eye coordination, color matching and other important skills for developing minds. You’ll find printables, games and other activities your kids will enjoy. The games allow your children to explore their creativity, play dress-up, learn new music, put together puzzles and work on numbers and shape recognition. PBS Kids offers sing-a-long songs, sorting and counting games, videos and more. Video clips and play games that help them learn letters, animal sounds, rhymes, colors and more. The site has been online since 2002 and works with your children through letter recognition all the way through to reading plays, nonfiction and comics. *Most of the websites listed above also have apps. What apps and websites do you use? Previous articleAthleta: 20% off Coupon = Quality Swimwear for Less! Next articleFREE Red Robin Tavern Double Burger and Bottomless Steak Fries for #Teachers!